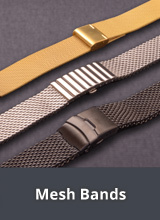 Replacement Watch Straps for JUNGHANS Watches - Here you will find selected replacement watch straps and other accessories suitable for the watches from the traditional German brand JUNGHANS. 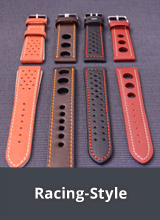 The watch straps offered in this section are predominantly original replacement straps in various materials (leather, synthetic, metal, ceramic etc.). 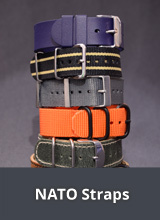 The individual data for each strap can be seen in the product descriptions of each strap. 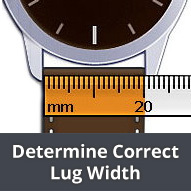 In order to select the correct watch strap please first ascertain the reference number of your JUNGHANS watch and the lug width required. 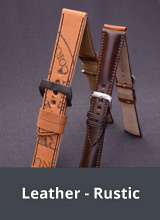 Information regarding these can be seen in the product descriptions. 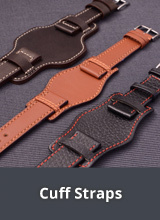 PLEASE NOTE: Standard watch straps, in the correct lug width, from our huge range of products can also be used for JUNGHANS watches without special lug attachments. 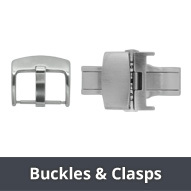 If you would like to fit your Junghans clasp or buckle to your new watch strap, it is also important to note and choose the correct "width of buckle". 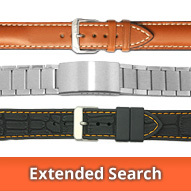 When using a standard watch strap special Junghans clasps can often not be used. 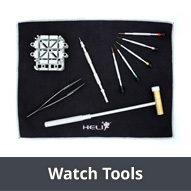 If you are unsure please check with our service team.